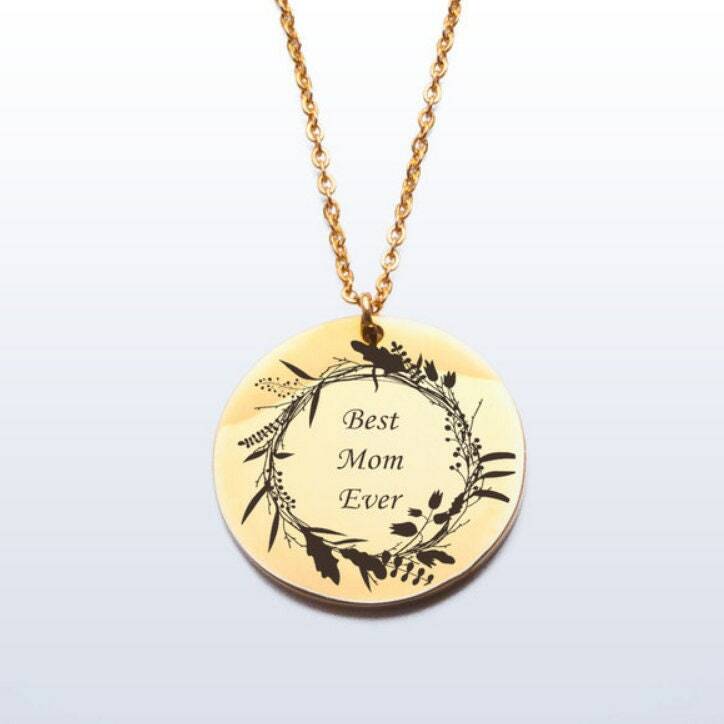 This Best Mom necklace features the saying Best Mom Ever surrounded by a delicate floral wreath. 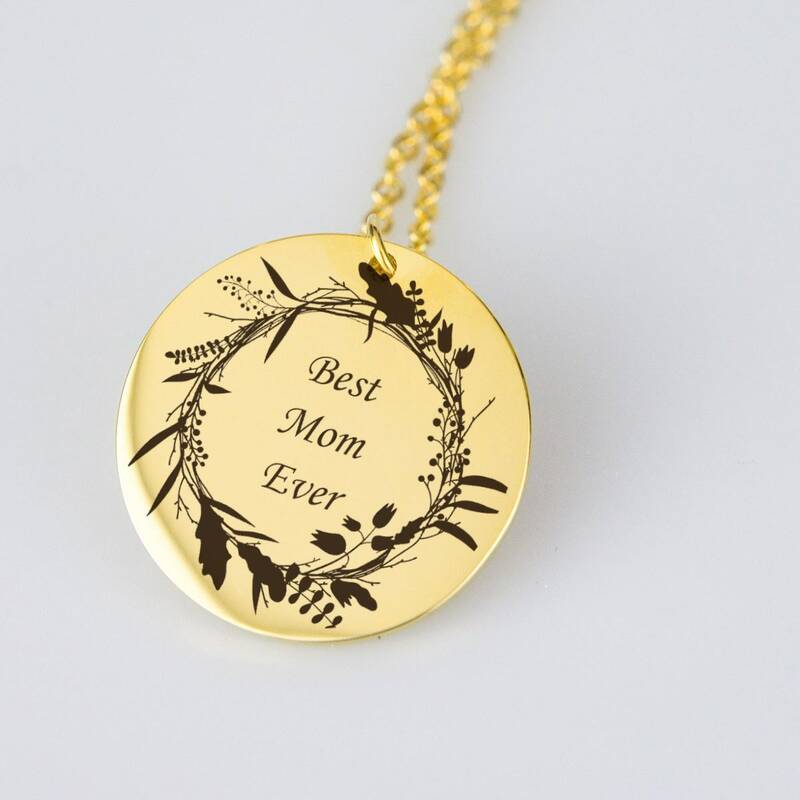 This custom necklace makes a great gift for new moms and grandmas and as Mother's Day gifts and birthday presents. 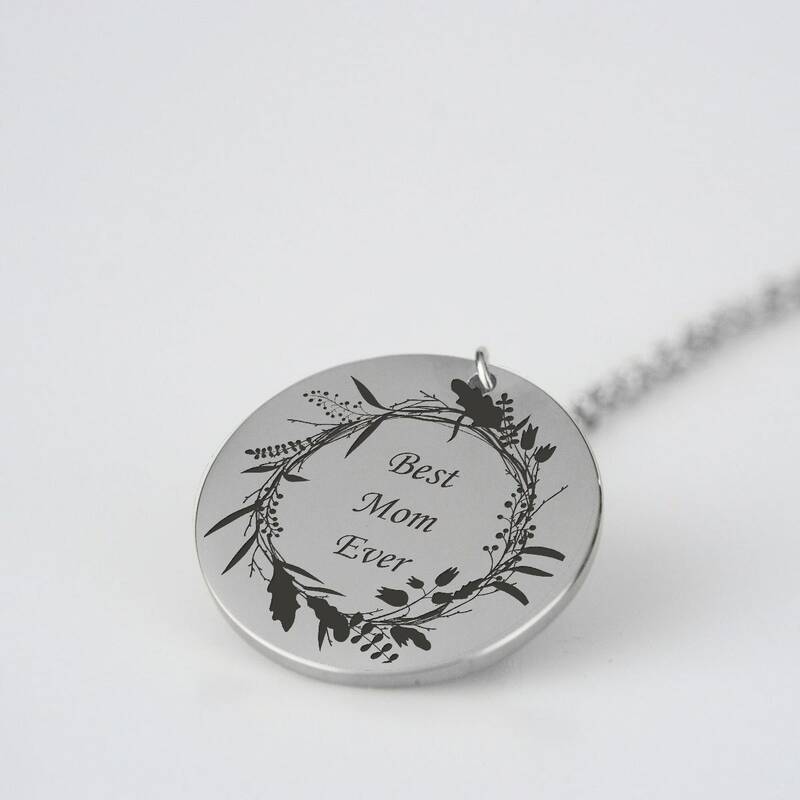 The necklace is nickel and lead free and will not give any allergic reaction.